Coloured Pencil Horse Portrait of Maisy. Order yours here! 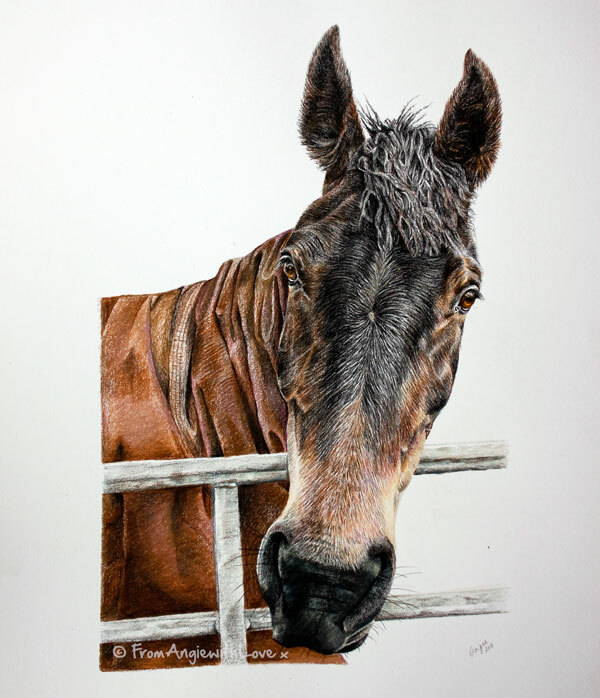 This coloured pencil horse portrait features Maisy – a twelve year old Romanian cob. Dark bay in colour, she is a very strong lady who has hunted and cross-countried. She came across from Romania when she was four years old and, from her build, is thought to have been a cart puller. She is 15 hands high with very strong shoulders. She has quite a comical personality and rules the roost at her stables. Received safely. It really is a brilliant picture. Going to show all my mates at the stables and will leave your business cards there as well. Thank you very, very much. One happy customer.